From March 23 to March 25, 2016, CMC returned for the fourth time as exhibitor at the 20th annual FIC China trade show in Shanghai, China. 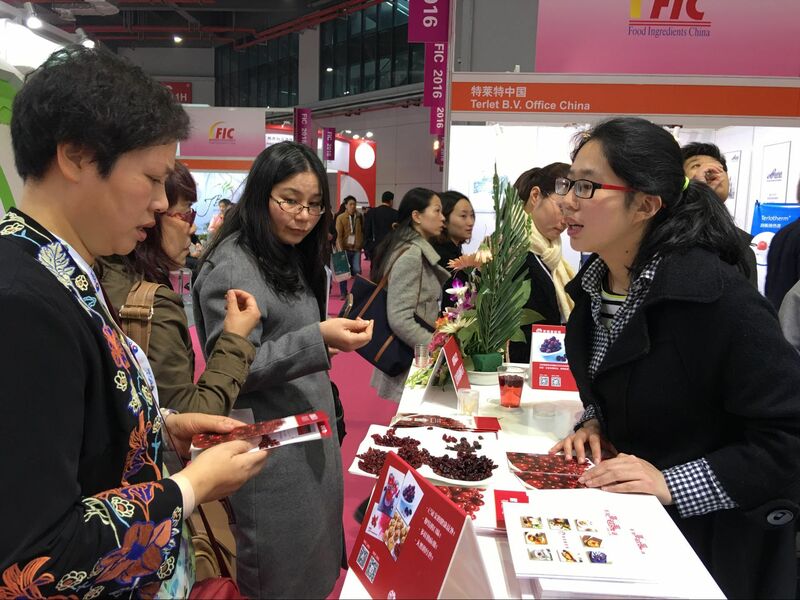 CMC’s booth was set up inside the U.S. pavilion and attracted a lot of visitors who could freely sample four varieties of dried cranberries as well as cranberry juice. The four varieties of dried cranberries were whole dried cranberries, 1/4 sliced dried cranberries, soft & moist sweetened dried cranberries and intermediate moisture dried cranberries. Cranberry juice concentrate, cranberry powder and frozen cranberries were also displayed, along with CMC’s brochures, recipe books, technical manuals, cocktail booklets and Chef Michael’s recipe book. This year’s FIC not only generated high traffic but also delivered high quality visitors. During the show, inquiries were received from ones in the beverage industry, e-commerce companies, bakeries, as well as health and wellness companies. MZMC staff at the CMC booth referred all qualified trade leads to the US Cranberry suppliers listed on the CMC website. Visitors that scanned the QR codes for CMC’s official Weibo and Wechat were given free cranberry sample packs. Based upon visitors’ reactions, the awareness of cranberries has increased considerably compared to the previous three years. There was also noticeably increased interest in those less common cranberry products such as juice concentrate and powder, from the local food and beverage industry. Quite a few representatives from China’s food manufacturers expressed interest in making cranberry beverages and cranberry yoghourt. Some companies have already started their R&D in this regard. 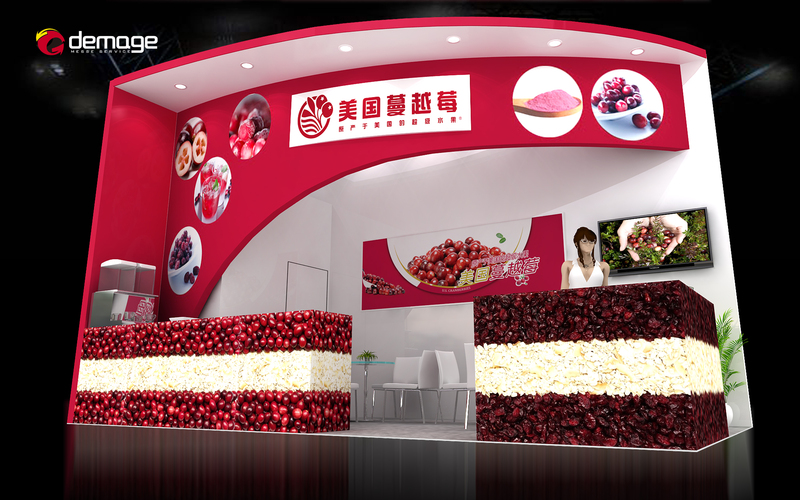 Subsequent to the exhibition, MZMC has arranged to provide them with R&D free samples of cranberry products. FIC 2016 represented the show’s 20th year in Shanghai. Altogether a total of 1,452 exhibitors, including 443 from overseas, participated in the event. Approximately 3,500 copies of various U.S. Cranberry brochures were distributed at the show. 15 qualified trade leads were generated and 200 business cards were collected from visitors to the CMC booth. CMC’s official Wechat added 300 new followers during the three days’ show.